Telescopic short-sectioned pole rod. Thanks to the short sections of only 40cm these carbon fiber rods can be easily transported in every fishing bag. Perfect for catching baitfish and spontaneous fishing trips. 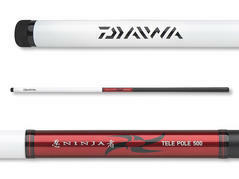 Telescopic pole with premium design. 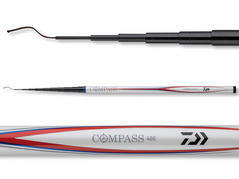 The lightweight blank is made of premium carbon fiber material and allows fatigue-free fishing for hours. Sensitive rod tips prevent the overload of leaders and care for maximum fun during the fight. 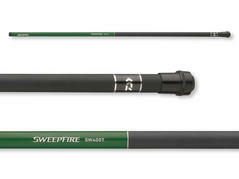 This pole rod set consist of a glass fiber pole and a ready float rig with hook, line and float on a winder – like this you are immediately ready to fish. These sets are delivered in a clear transport bag with header card and euro hole.